The drive to be great is almost always intrinsic. There are external rewards that motivate actions, but that’s purely the premise. Emotionally, I think it’s simply the urge to answer the questions of becoming better: can we do it better? can we provide a better product? can we really solve it? And the drive is the excitement when we think about the possible growths ahead. Innovation and progress are made by humans. And I think inventors, entrepreneurs, rule-breakers, innovators, … don’t do all the great things they did just b/c they think it’s the right thing to do. I guess they did it simply because of the thrill, the self-satisfaction that somehow emerges in their mind when they solve problems, discover and change things. There is no choice. There is no deliberation. 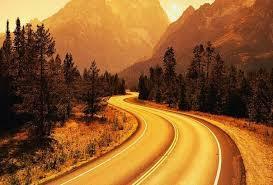 It’s always about the road ahead. And so they are, always moving.